This new type was introduced in 2007. The foliage is very dark, the leaves are fernlike and deeply devided. 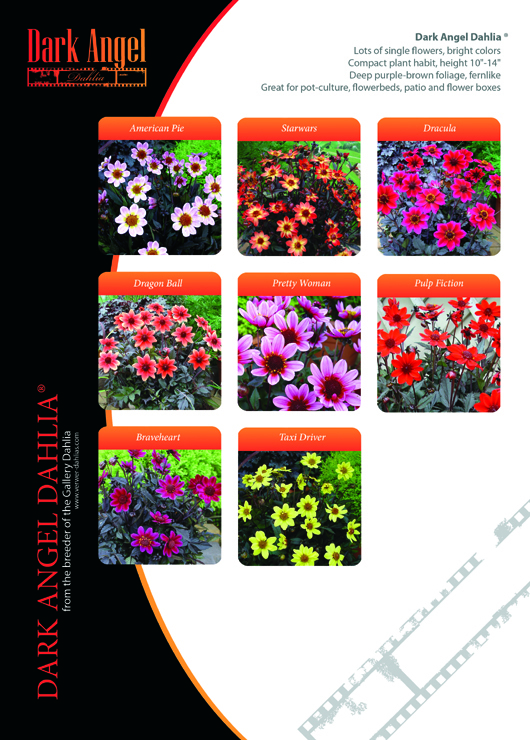 ideal for colorful combinationsin garden and border. Great attractive power to butterflies and bees! Many visitors of our gardens are delighted by the happy sight of a colourfull, mixed bed of seedlings. Often they ask us to sell collections like this. Which we always have to answer negatively. 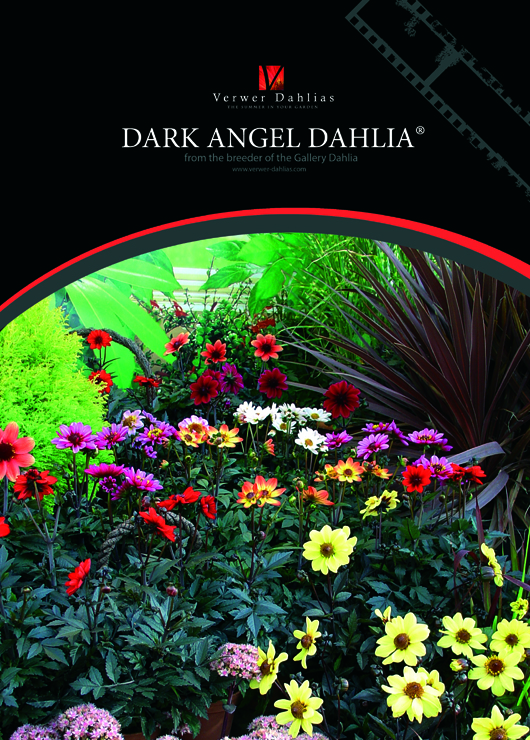 Let me explain: Dahlias from seed look very attractive and colorful when planted in groups and freely flowering. However, when you take a better look you will see many between them that you would not want to buy! But we got the message and started working on a collection in which the happines and richness of all these colours is caught. The varieties of the Dark Angel Dahlias are propagated vegetatively by taking cuttings. In this way the characteristics can be kept and you can be certain of color and form. We have 8 colors available now ..and some very lovely to come soon..